Is Electric the Future for Cars? Every industry has the same problem. No one can predict future trends. Try as much as they might, the market reacts however it wants. That’s a problem that the auto industry is going through right now. How can they prepare for a future that is looking more and more to not be dependent on traditional gas? Recent developments that have been made with electric cars certainly point to this being the most potential industry. But CEO of Chrysler Sergio Marchionne questioned whether this would be the case. Speaking at the Society of Automotive Engineers 2013 World Congress in Detroit, Marchionne brought up the subject the new technologies. His major critique was against the government adding incentives to the market to convince people to embrace electric cars. He continued by adding that he thinks the US should be neutral to technology and has the automakers be the ones that test potentials for alternative fuels. Currently, the US has a $7,500 federal tax credit for buying a plug-in electric or all-electric vehicle. While it’s a great incentive to those on the fence about getting one, but the tax credit hasn’t seemed to have made an impact yet. 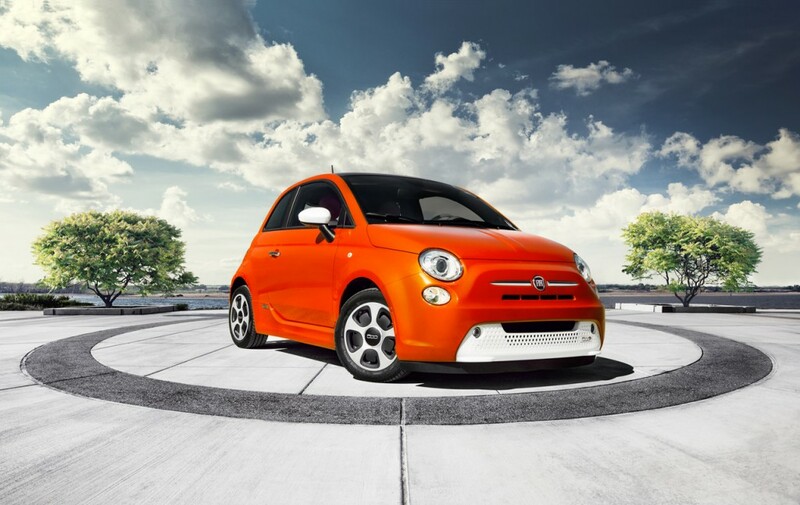 While Marchionne may not be completely on-board with electric quite yet, it hasn’t stopped the automaker from producing their first all-electric car, the Fiat 500e. It’s being speculated that Marchionne may be raising warning signs about electrics cars due to the loss the company takes with each vehicle sold. And that’s after all subsidies. New technology is difficult to accept especially when it’s taking over for something that’s been ingrained for so long in a products existence. Only time will tell if electric is the way of the future or if there is something else just wanting to be discovered. Is your service light on? Need a check-up before a family vacation? Stop by Bayside Chrysler Jeep Dodge in the Queens area. Our service department features top-quality customer service and will work with you to make sure you’re satisfied with the service provided. Like us on Facebook and follow the dealership on Twitter for more tech news and future parts and service specials. It’s the end of an era at the Mack Avenue Engine Plant in Detroit. They reached a mile stone with the production of a 4.7 liter V-8 engine. Normally it wouldn’t be that big of a deal, making another quality engine for Ram trucks and other Chrysler vehicles. This one, however, happens to be the last one they’ll ever make as production is ceasing. The Mack Avenue Plant has put together more than 3 million powerplants. They are now planning to move on to the next engine type. Back in November of last year, Chrysler invested $198 million dollars into the plant, as well as added around 250 new jobs, so that the Mack Planet can start production of the Pentastar V-6 engines. 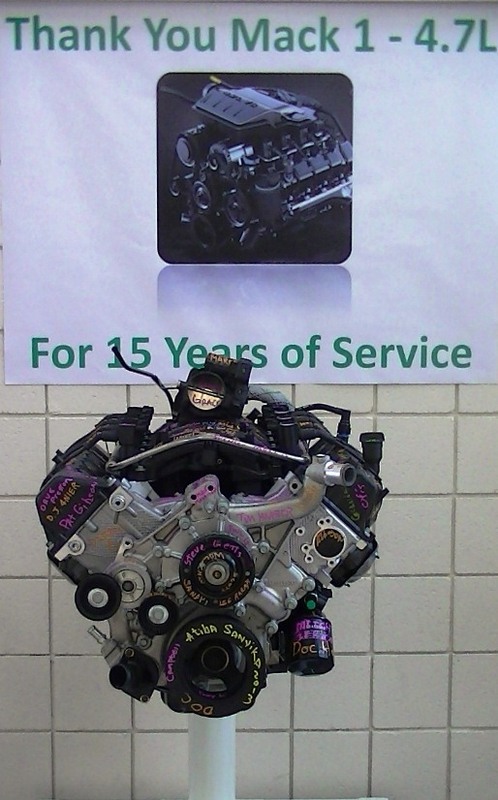 The final engine made was signed by the employees and will now be displayed in the lobby of the plant. It’s a bittersweet moment as the workers begin to transition over to the next phase in production. “Producing more than 3 million engines is a testament to each and every person that has worked at Mack Avenue Engine Plant 1 during the past 15 years,” said UAW Local 51 President Lorenzo Poole. If you are in the Queens area and are looking for top quality service, bring your vehicle into Bayside Chrysler Jeep Dodge. Contact us and schedule a time for us to take a look at your car. You can also shop online at the Mopar E-Store for a special treat. Like us on Facebook and follow us on Twitter for more news and service specials. A news story on Mlive.com is about a rumor going around that Chrysler is looking to add a huge investment into one of its plants with the purpose of building a new Pentastar engine. Chrysler Group LLC is allegedly going to put forth $198 million to make this happen at their Mack Avenue Engine I plant in Detroit. An added benefit of this additional funding for the plant would lead to the creation of 250 new jobs. 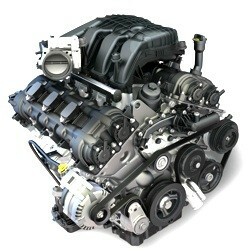 The Mack Avenue Engine I plant currently makes the 4.7-liter V8 engines in the Ram 1500. The plant was converted to produce the Dodge Viper in 1992 but unfortunately, it was moved to the Conner Avenue Assembly Plant in 1995, and that includes the new Viper SRT. The plant currently employs 144 hourly workers. As soon as Chrysler makes an official comment on the speculations, we’ll be sure to let you know. 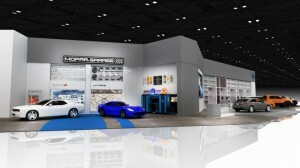 Until then, check out the available Mopar E-Store online at Bayside’s website. 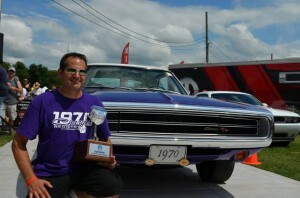 Also like us on Facebook and follow us on Twitter for constant updates on Mopar deals and news.